This bottle of Parfum d’ Ambiance is part of the Soliflower collection. The hyper realistic blends are made with only the very best raw materials (including essential oils, absolutes and other extracts of plant origin). Gardenia aims to recreate the smell of full blooming gardenias as experienced during the warm summer nights. The scent is sensuous and narcotic! This bottle of Parfum d’ Ambiance is part of the Travelers collection. 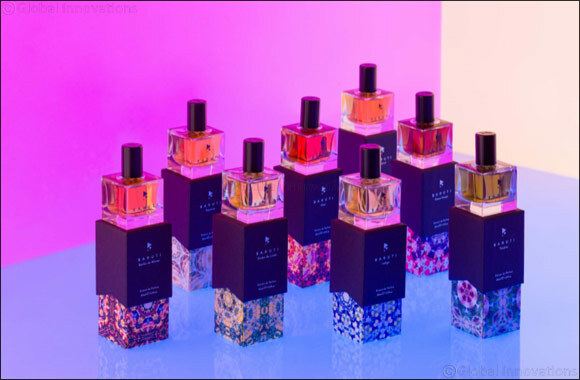 Inspired by places of the world that are dear to us Oud Bukhoor pays tribute to the Middle East were bukhoors are usually burned to scent homes (and clothes). Our blend is made using the highest quality raw materials and contains actual rose and oud oil! This bottle of Parfum d’ Ambiance is part of the Teaism collection. The blends are made with only the very best raw materials (including actual tea extracts). Rooibos Honey is inspired by the rooibos tea from South Africa and infused with honey. A pure treat to the senses that will make you enjoy your home even more! This bottle of Parfum d’ Ambiance is part of the Soliflower collection. Our hyper realistic blends are made with only the very best raw materials and contain a very high amount of essential oils, absolutes and other extracts of plant origin. Rose aims to recreate the smell of full blooming roses. The scent is fresh, uplifting and romantic!